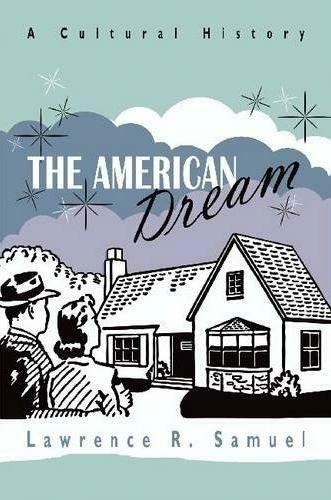 There is no better way to understand America than by understanding the cultural history of the American Dream. Rather than just a powerful philosophy or ideology, the Dream is thoroughly woven into the fabric of everyday life, playing a vital role in who we are, what we do, and why we do it. No other idea or mythology has as much influence on our individual and collective lives. Tracing the history of the phrase in popular culture, Samuel gives readers a field guide to the evolution of our national identity over the last eighty years. Samuel tells the story chronologically, revealing that there have been six major eras of the mythology since the phrase was coined in 1931. Relying mainly on period magazines and newspapers as his primary source material, the author demonstrates that journalists serving on the front lines of the scene represent our most valuable resource to recover unfiltered stories of the Dream. The problem, Samuel reveals, is that it does not exist; the Dream is just that, a product of our imagination. That it is not real ultimately turns out to be the most significant finding and what makes the story most compelling. How would you define The American Dream? Limitless possibilities? The good life? Pursuit of happiness? 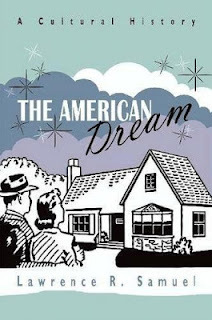 In The American Dream Lawrence R. Samuel explores this constant presence in the minds of the American people as the one thing defining their culture. From the beginnings of the Dream during the Great Depression to the times of counterculture in the 1960s straight to the present the author highlights the origins of the Dream, how it evolved over the years, and its relevance today. Of course I've heard about The American Dream before though I admittedly didn't know all that much about this integral part of what shaped the American identity. Mostly compiled through journalistic records the book offers a fascinating, in-depth read for anyone interested in the topic. What I personally enjoyed the most were the excursions into pop culture, showing how The American Dream reflects in both literature and on the big screen. I also like how the author ponders whether there is such a thing as an European or even a Global Dream. Overall I found this book to be a great illumination of the topic, yet I must admit that I found it to be a bit on the dry side too. Will The American Dream be still there tomorrow? Is it really, as the author suggests, only a myth, existent in our imagination? A doubtlessly thought-provoking conclusion which everyone should answer for themselves. In short: Concise if somewhat prosaic study on The American Dream!